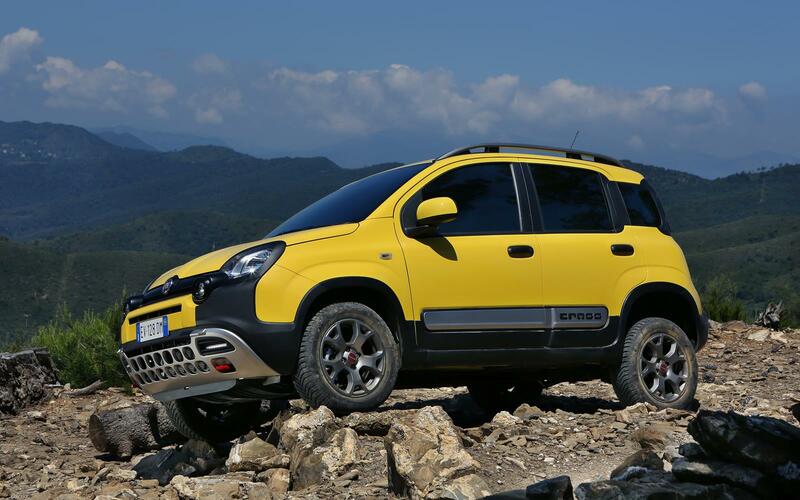 The Fiat Panda 4×4 just wasn’t man enough for Fiat, so they’ve taken the car, bolted on all manner of plastic bits to the bodywork and beefed up its off-road credentials. 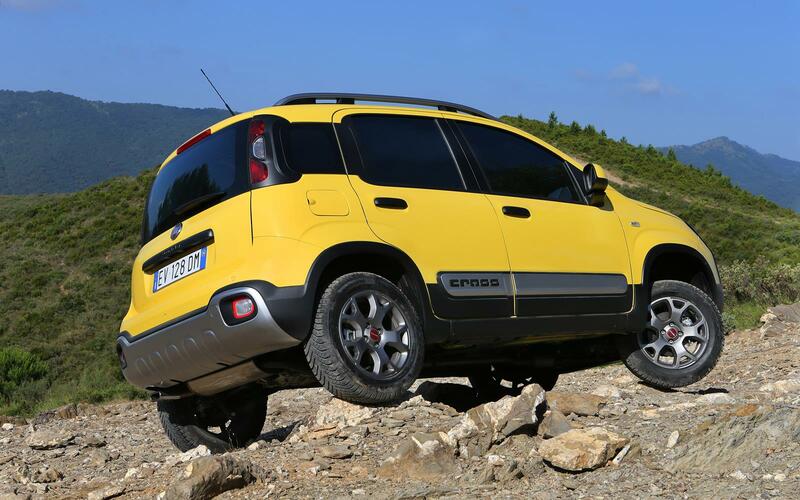 The result is the Panda Cross, a car that can apparently tackle any road you throw at it. That means that there’s increased ground clearance, improved approach and departure angles, and some enhanced electronic wizardry to look after the traction. Hill descent control is fitted, so if you do venture off-road there’s no need to worry too much about unexpected drops. All the added bravado actually works well. The figures tell you that you can approach a climb of 24 degrees, leave one at 34 degrees, and not fall over until the car is leaning at 55 degrees. 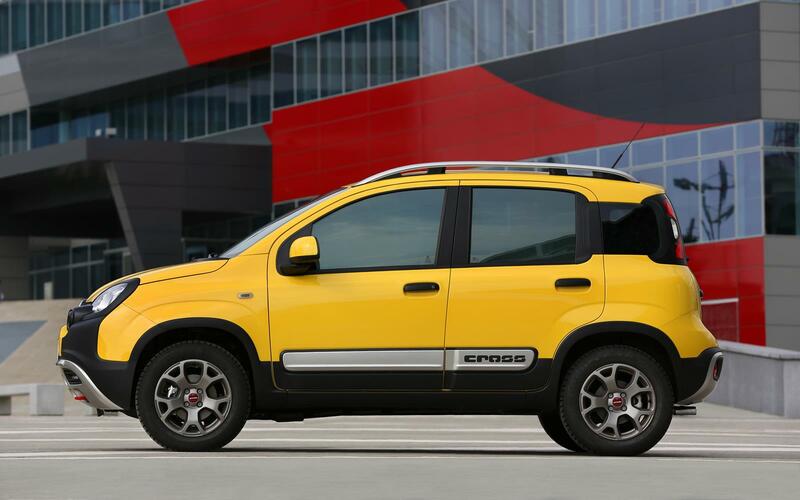 At Fiat’s own proving ground I put that to the test, climbing hills that I couldn’t walk up, descending back down with the gubbins doing all the hard work, and resolutely failing to fall over when pressed up against a slope that certainly felt steep enough to cause some problems. A wading depth of 739mm means that you’ll have to be doing something pretty foolish to get yourself in to trouble when fording a stream, but it’s important to remember this isn’t a Land Rover Defender. It’s surprisingly capable off-road, and really will get you in and out of most situations, but ultimately big rocks and deep ravines will defeat it. Things are a little mixed on-road. 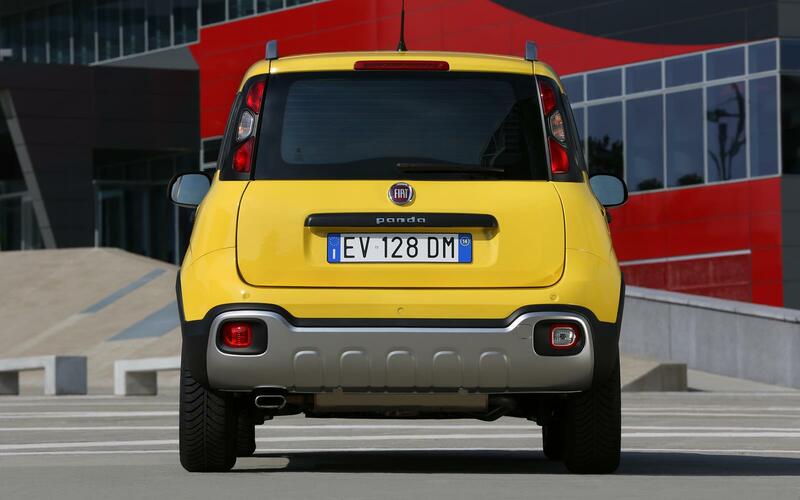 Ignore its four-wheel drive capabilities and it makes a fine city car. With its compact dimensions, slightly jacked up driving position and good visibility all round, manoeuvring round the urban playground is a piece of cake. 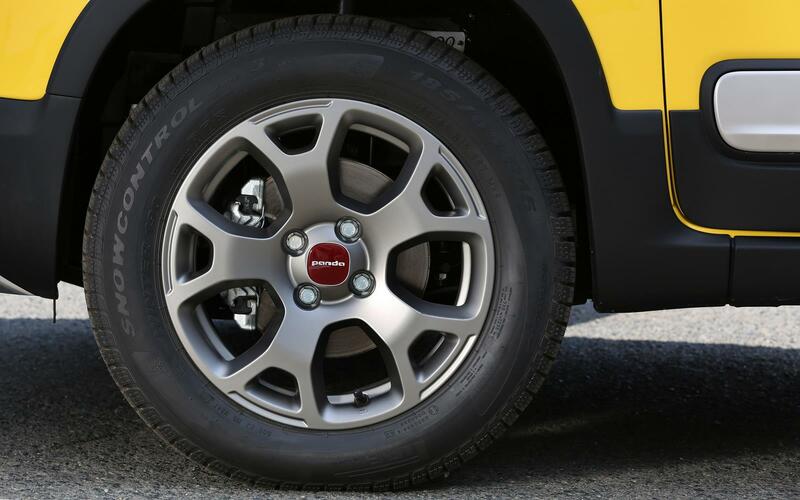 Ride quality is pretty good too, which can be put down to longer, softer suspension and the softer mud and snow tyres fitted as standard; it’s those that make such a difference off-road, but they also help smooth the ride on-road. The high body and semi-rugged tyres do affect the handling just a tad. 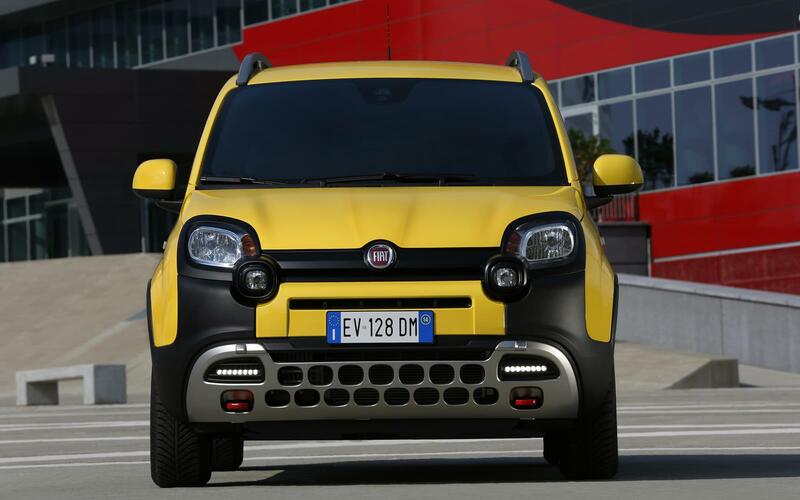 What is an almost sporty proposition in normal Panda models turns in to something that leans and slides through bends like an Olympic ice dancing couple. Get too aggressive and there’s unheard of levels of under steer to contend with, and tyre noise that will attract the attention of the local constabulary. This isn’t necessarily a bad thing though. What it does do is introduce incredible levels of fun at safe and low speeds. The chassis is finely honed, allowing you to really chuck the car around, balancing the front end on the throttle, without too much fear of barrel rolling in to the nearest field. It just makes you smile, something that few modern cars can manage. 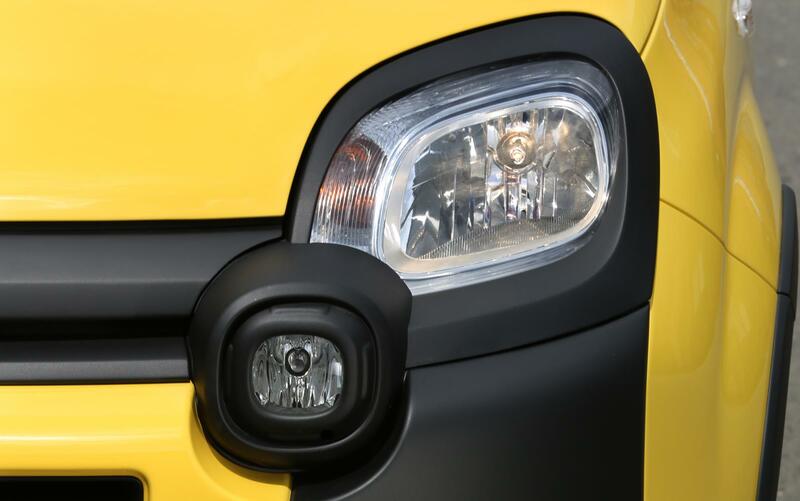 Stay sensible and the diesel returns good economy, while the TwinAir petrol model provides a little more engagement. Neither is a bad choice, but if you’re not getting out of the city too often, then the petrol engine is good enough and cheaper to buy at £15,945. 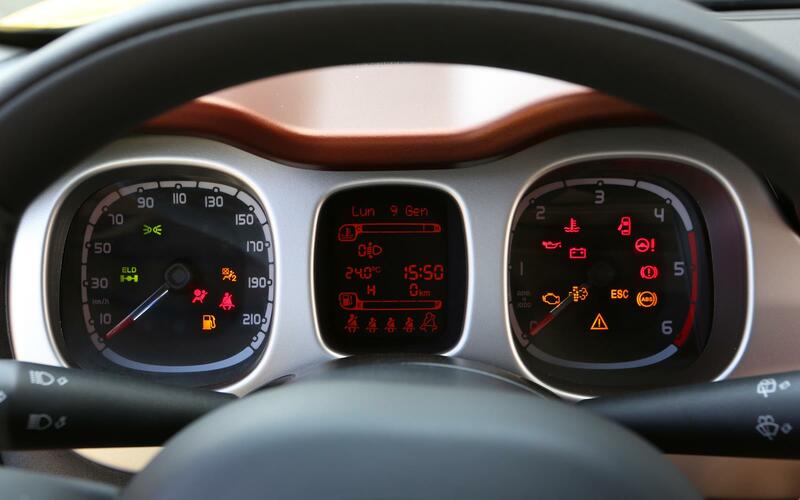 Headline economy figures are excellent, with a combined mpg of 57.7 and CO2 emissions of 114g/km. However, our TwinAir failed to get close to the promised figures, its easy-revving nature and mere 89hp output forcing us to work the engine hard. Venture further afield and the more economical 1.3-litre diesel unit will make a strong case for itself, but that does add an extra £1,000 to the price tag, making it £16,945. 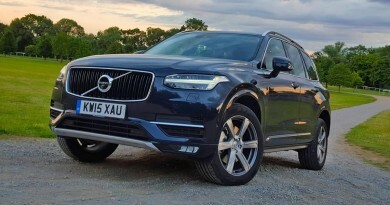 It offers more torque and improved mpg, but at the expense of weight and a higher CO2 output. 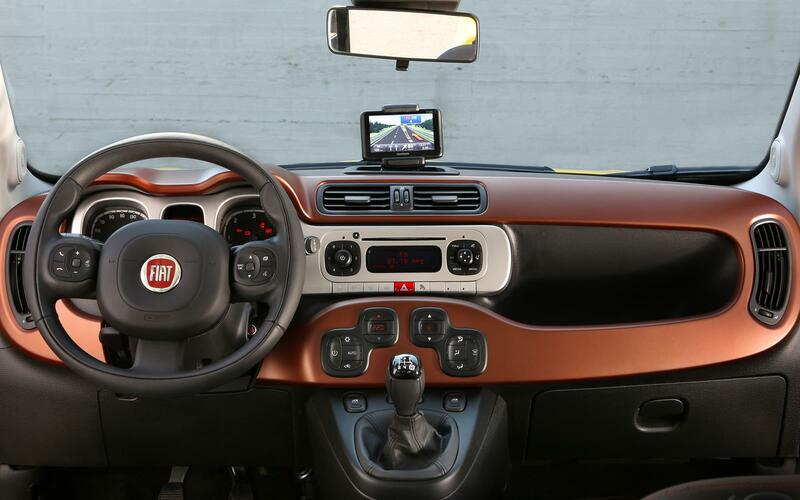 For the money you do get a reasonable level of equipment that includes Bluetooth and USB connectivity, climate control and part leather trim, although you’ll have to pay extra for parking sensors, a split rear seat and sat-nav. You also get plenty of space for four adults, and a boot that will cope with a weekly shop. If you need to carry a few suitcases around, you’ll have to fold down the rear seats. 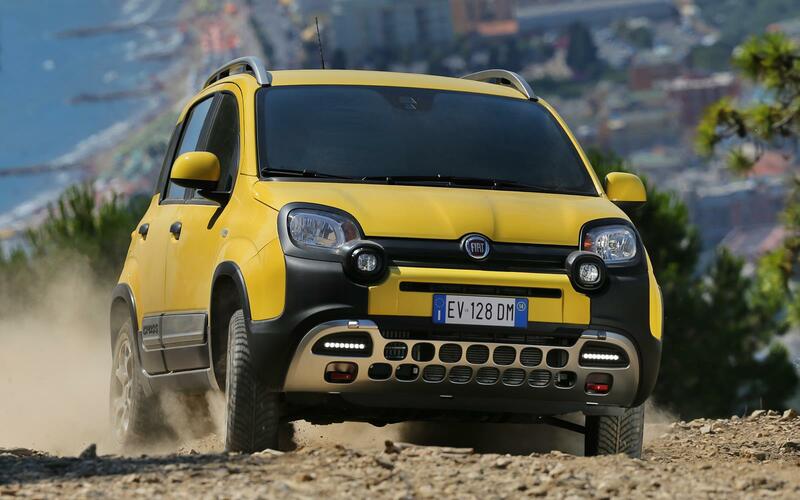 The only fly in the ointment is the fact that the Panda 4×4 exists, and is priced at nearly £2,000 less than the Cross. If it’s just the odd damp field or two you’ll ever face, the Trekking model comes with two-wheel drive and some trick computers controlling traction, and at more than £3,000 off the starting price of the Cross. 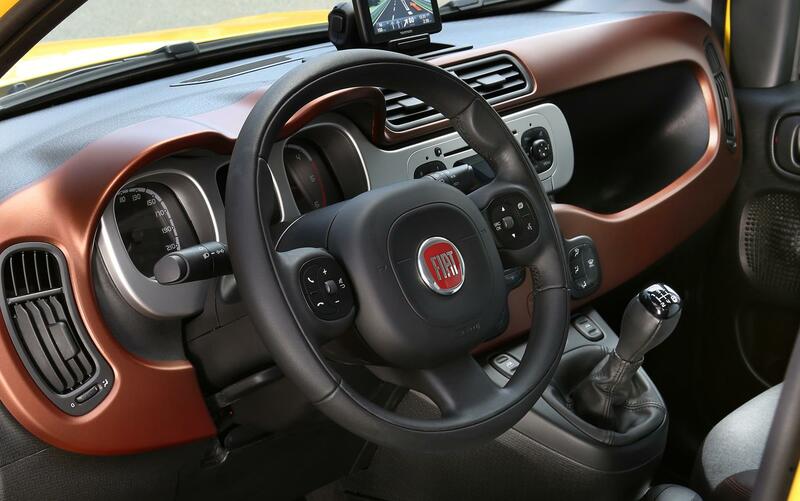 However, the Cross is a joy to drive, works well in the city and is refined on the motorway. It might also tackle Kilimanjaro without breaking a sweat. If that’s what you need from a city car, there is literally no other option.